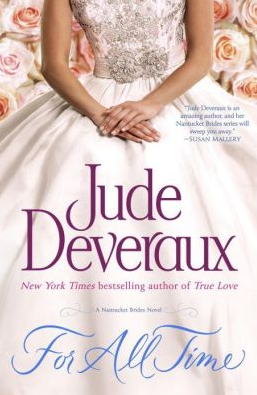 Book one of the trilogy was True Love and ends with the wedding of Alix Madsen and Jared Montgomery. I tell you this because For All Time starts at the wedding. There is a little bit at the end of book one where we were introduced to Jarad's cousins Graydon and his twin but I haven't read enough yet to know how it is brought up in book two. off to read . . . . I forgot to mention there were places where the characters of book one spent time in the past. This is NOT a paranormal but some of the characters spent time at a significant event in the past that helped with the current time. Oh, I guess that's the "magical" part spoken of above. Now I'm off to read . . .
Have you ever wanted to re-read a book you just put down? I was going to be all funny and say something about the sun coming up but I'm still sniffling. The story stands as a complete and satisfying story all on its own. Yes there are overlaps from book one. The story doesn't quite end yet it does and I can see the beginning of book three. The only thing you need to know, and it is mentioned several times, is that the woman who can tell the twins apart is the woman he should marry. In a previous novel the twins had won "most alike" awards but the girl could still tell one from the other and she didn't know he had a twin! There were lots of "I've got to tell them that" places but some of them would have been spoilers and as I have an uncorrected proof, I've been asked not to quote without checking the published work. This is a case of both characters being who'd you want your children to marry. Heck, you'd want your children to be them. They are fun, caring, responsible, loyal and honorable. Both of them putting the needs of others before themselves. I've fallen in love with the characters and Nantucket, I"m adding this series to my list of fictional places I'd like to live. Yes I know there really is a Nantucket but the real life island doesn't have the families on it. I'm very disappointed that I have to wait for the next book. Disclaimer: I received a complimentary review copy of this book without any obligation to write a positive review. The opinions expressed in this post are mine and may differ from yours. Book information courtesy of GoodReads and Barnes and Noble. for more information and to sign up, click here or here. Basic requirements: READ! There will be challenges and prizes but the whole point is to set your own goals and read. edit 8-12: I forgot! I've got a long list of review books but as it hurts to type a full blog post, I'm not sure what I'll be reading. Wonder what I'll be up to by the 1st. 43 titles and 21 under 100 pages. I'm not sure I like adding up the pages read for a whole month. 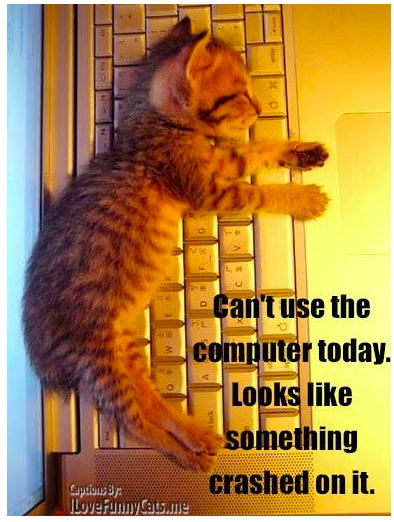 I'm got so many other things I should be doing! 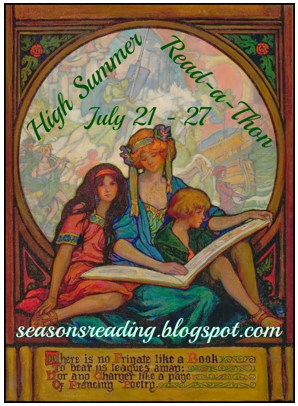 Michelle at The True Book Addict brings us the High Summer read-a-thon. There is a dedicated blog for her RaTs and lots of information on the Guidelines tab but basically she wants us to spend a "week of relaxed reading during which we can personally challenge ourselves and whittle away those ever looming TBR piles/shelves/libraries." I've got a couple of books to finish and review but other than that, I don't know what I'll be reading this week. I'll update here then do a wrap-up. I didn't finish book ten but I did read 157 pages (out of 370) of it. Dang, that would have put me over 2,000 pages! sigh, that's okay, I had a wonderful time at the live children's theater production that my daughter was involved in. 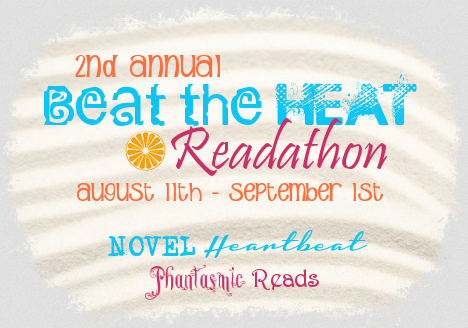 See you next summer for the High Summer Read-a-Thon but check in to see what's up next. Cathi Stoler’s mysteries feature PI Helen McCorkendale and magazine editor, Laurel Imperiole. 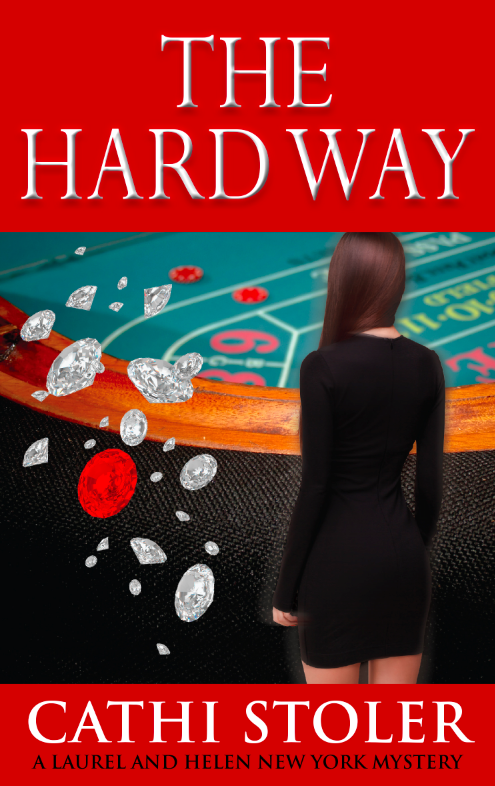 The Hard Way is the third book in the series. The first, Telling Lies, took on the subject of stolen Nazi art. Book 2, Keeping Secrets, delved into the subject of hidden identity. Stoler’s short stories include: “Magda,” in the Criminal Element Anthology Malfeasance Occasional: Girl Trouble, “Out of Luck,” in the Anthology, Murder New York Style: Fresh Slices, “Fatal Flaw,” a finalist for the Derringer for Best Short Story and “Money Never Sleeps” both published at Beat to A Pulp. Cathi is working on a novella, Nick of Time, which features International gambler, Nick Donahue. She is also starting a new series, Bar None, A Murder On The Rocks Mystery, with female bar owner, Jude Dillane. Cathi is a member of the New York/Tri State chapter of Sisters In Crime. She is also a member of Mystery Writers of America. Check out the book tour blog to find others who are reading/have read The Hard Way and to enter a giveaway! well, I may be back early September but I'm taking July and August off. 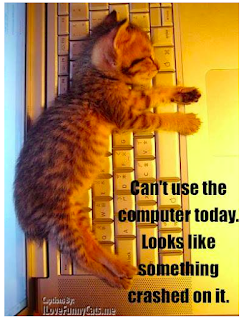 There may be read-a-thon posts or reviews but not any of the other stuff I do. I've got plans to read, I don't believe I'd ever give that up, but I'm going to spend more time getting healthier and relaxing. And I'll update my challenges with whatever reading I get done.